Movember comes to an end. This year, as in previous years, I have participated in the annual Movember campaign. I wanted to share a little message I have sent to others at the end of the month regarding what have done together for a important cause. 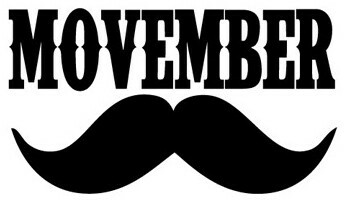 Movember, the month formerly known as November, has come to an end. I wanted to give everyone a little update on what we have done together. First I’ll start with me. With your assistance I have raised $330 for Prostate Cancer Research raking me #3 on my team. My team, The Moustache Factory, of 7 people raised $1,847 placing us #2125 Nationally. Research in Motion, where I work, raised $53,132. This combined with all other donations collected from Canada has totaled over $18,000,000 for Prostate Cancer Canada and this places Canada firmly at the top of the list of countries who participated in this international effort. research into the prevention, detection, treatment and cure of prostate cancer. treatment, or possible cures. Thanks again for your generous donation and with December having officially started I want to wish you all Happy Christmas. Enjoy the holidays, now just a few weeks away.